Having your local business online is one of the key factors in running a successful local business today. That’s because shoppers no longer look to things like the Yellow Pages or the local newspaper to find local shops and restaurants. Instead, they do it on the go by pulling out their smartphones, laptops and tablets. And they’re not using the major search engines to find US local businesses, either. Instead, they’re going to local business directories every time they want to find a local store or restaurant to visit. A local business directory is a search engine that only provides results for the city or town the user is searching for. It operates with a search bar, just like the large search engines, but instead of seeing a bunch of irrelevant results, you will only find the stores, service businesses, and eateries that you’re looking for. For example, if you were located in San Diego, California and were to log onto a local business directory like FindUsLocal.com and type “Seafood restaurant” into the search bar, you would see a list of every seafood restaurant in the area. And you wouldn’t even have to specify the town or city because the site uses GEO location technology to “read” every visitor’s location so it can show them the results from their area. Can you see why almost 100 percent of today’s shoppers use local business directories to find US local businesses? On every local business directory, there are thousands of local business listings. When a shopper types the keywords into the custom search bar, those business listings pop up. And if you’re business isn’t listed on the directory, they’ll never see your business name. In order to be seen, it’s necessary to create a free local business listing. Here is the 4-step plan to help you do that in under ten minutes. Go to FindUsLocal.com and use the search bar to look for your business. There will be a local business listing for it, but you will need to ensure that it contains all the information you want potential customers to see. Claim the local listing as the owner of the company. Fill in as many details as you can. For example, be sure to include your proper business phone number, address, store or restaurant hours, the types of payment you accept, and anything else a new customer would want to know before visiting your store. Ask your current customers to leave online reviews on the local listing so potential customers can read them. Studies show that shoppers are reading reviews more and more before deciding whether or not to visit a new business. 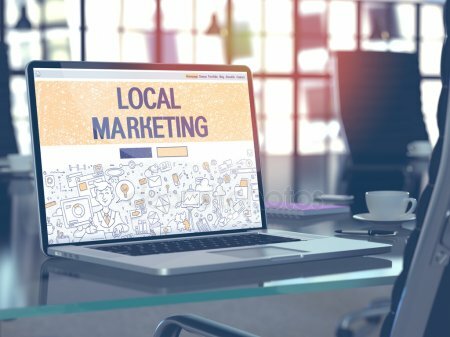 Local business listings are an important aspect of your local marketing efforts, and if you don’t already have one set up, isn’t it time to do it? Why not head over to FindUsLocal.com right now and create a free business listing so all those shoppers can find your business? This entry was posted in Local Business Insight, Local Marketing and Advertising, Online Advertising on October 29, 2018 by wpadmin.